We will custom measure your enclosure to ensure a perfect fit. We offer installation and service of shower doors for Carmel, IN and surrounding counties. Hinge shower doors can be installed with a left or right swing. It is highly recommend the hinge be attached to a wood framed wall versus a glass panel. They can be custom fabricated up to 85” high and from 26” to 30” wide. 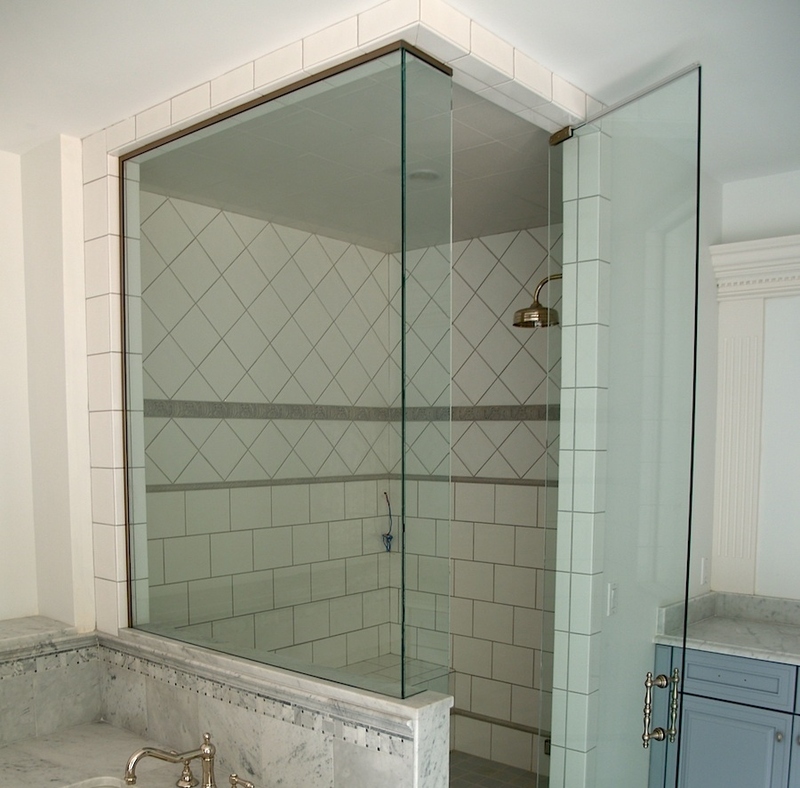 Transom panels can be incorporated above the door to create a steam shower system. Additional panels can be attached to the hinge door, to cover wider openings or to enclose an adjacent knee wall. Hinge doors are available as framed and frameless with either ¼” or 3/8” glass thickness. Bypass shower doors are also known as “a slider". They can be custom fabricated up to 80” high and from 46” to 60” wide. Additional panels can be attached to the bypass door, to cover wider openings or to enclose an adjacent knee wall. Bypass doors are available as framed and semi-fameless with either ¼” or 3/8” glass thickness. Pivot shower doors can be installed with a left and right swing. These doors are typically used for openings from 30” to 36” wide or when the door cannot be located adjacent to a wood framed wall. A metal header, approximately 1.5" thick, is incorporated along the top of the enclosure. This allows the door to be located between glass panels. Additional panels can be attached to the pivot door, to cover wider openings or to enclose an adjacent knee wall. Pivot doors are available as frameless with a 3/8” glass thickness.